Manuel Rionda had for around four years thought about combining a significant number of existing sugar mills under one ownership. , in a casual conversation with Alfred Strauss of J. & W. Seligman on September 1915 Rionda told Strauss that Cuban sugar mills could be had at favorable prices, the idea was shared with Charles H. Sabin of Guarantee Trust Co. of NY and the rest is history. Although Edwin F. Atkins had beat him to the punch when he organized the Punta Alegre Sugar Co. a month earlier, the Cuba Cane Sugar Corporation was incorporated on December 31, 1915 as a New Jersey corporation by Manuel Rionda with a capital of $50 million, it became the single most important sugar company in Cuba. Other names prominently associated with the firm were Atty. Alfred Jaretzky of Sullivan & Cromwell , E. W. Stetson, Irénée Dupont de Nemours and Matthew Chauncey Brush. Financial backing was provided by J & W Seligman & Co. and the J. P. Morgan & Co. In his original plans, Rionda had listed eleven sugar mills. In one month during the early part of 1916, Rionda acquired 16 sugar mills 10 of which were in his original list. These were not the only acquisitions made by Cuba Cane Sugar Co. In the summer of 1916, after the 1915-16 grinding season ended, Cuba Cane's Board of Directors voted to purchase Central Stewart for $8.4 million which was way in excess of its appraised value of $4.1 million. In May 1920, Central Violeta was acquired by Eastern Cuba Sugar Corp., a wholly owned subsidiary incorporated in Cuba on October 1, 1920. 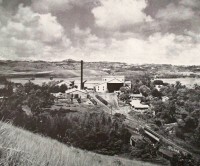 Central Violeta was a modern sugar mill established by Hannibal Mesa, Regino Truffin and Miguel Arango with production capacity of 200,000 bags annually. Management wise, Leandro Rionda de la Torriente was removed from Francisco and made General Superintendent and José Rionda de la Torriente in charge of Stewart and the three other mills on the eastern part of the island. All the mills on the western part, which were the majority, were entrusted to Miguel Arango who had also been made member of the Board of Directors. Rionda’s vision to establish Cuba Cane was genial. Having been involved in Cuban sugar as a trader since 1886, he realized the problem between the seasonality of sugar production and the year-round continuity of the sugar refiners demand. During the grinding season between January and May, there was a glut of sugar in the market that would bring prices down while beginning in the summer months and until the new grinding season when inventories were lower, refiners would bid up prices. Many Cuban producers had no storage facilities or were in debt and/or obligated to sell their sugar as soon as produced. Therefore, he thought that creating a consortium with the financial capacity to warehouse sugar until prices went up would benefit tremendously. Cuba Cane's first Annual Report (1916) to shareholders showed an net profit of $12.179 of which $2.3 million was paid in dividends. The civil unrest and cane fields burning that as a consequence of the 1916 elections, resulted in a reduction of Cuba Cane's 1916-17 production. The second Annual Report (1917) to shareholders showed net profit of $7.3 million down 40% from the previous year. The third Annual Report was not a good one with net profit down to about $3 million. In January 1919 the Board of Directors began to express dissatisfaction and lack of trust towards Rionda. On March 7, 1919 Gen. George Washington Goethals was hired by the Board to investigate charges made by stockholder Henry Evans, the president of the Continental Insurance Co., questioning the relationship and transactions between Cuba Cane and Czarnikow-Rionda Co. and the salaries paid to Cuba Cane's officers. The report presented to the Board on July 16, 1919 exhonerated the Rionda's of any wrongdoing but critiziced the company's mangerial structure as incapable of handling and coordinating the company operations of its seventeen sugar mills as one extensive undertaking and recommended changes in management. On November 1919, Rionda's fourth Annual Report showed net profit of $7 million with $2.5 million added to the surplus account. In the spring of 1920 Walter E. Ogilvie left the British owned United Railways and joined Cuba Cane to implement the changes recommended by Goethals. The fifth Annual Report in 1920 was a good one showing a $7 million increase in the surplus account. It came amid the crisis created by the sudden and precipitous sugar price drop from 22.5¢ in May 1920 to 7¢ in October. Rionda all throughout thought that the hike in sugar prices that started in late 1919 later known as the "Dance of the Millions" would come down. He did not hang on to sugar inventories waiting for higher prices and advised Czarnikow-Rionda's clients to sell as well. Thanks to this strategy, Cuba Cane escaped the disaster caused by the crisis. Although the 1920 Annual Report showed substantial gains in operating an net income due to the higher sugar prices, underlying numbers were not so favorable. Production had dropped from 4.32 million bags to 3.76 bags, production costs per pound had risen from 85% from 4.6¢ to 8.5¢ and although prices had risen 91.6%, total revenues had risen only 54.9%. In November 1020 Manuel, though the largest single shareholder of Cuba Cane, resigned to the presidency of Cuba Cane and remained as chair of its Executive Committee, Walter E. Ogilvie was appointed as president. Ogilvie's leadership contributed to the improvement to Cuba Cane's condition. The $6 million loss of 1921 was followed by operating profits of $3.5 million in 1922, and $12.5 million in 1923. In September 1922 Eastern Sugar Corp. subscribed a $10 million bond issue guaranteed by Cuba Cane Sugar Corp., proceeds of which were to pay off all the floating debt of Cuba Cane Sugar Corp. and its subsidiaries coming up due. Assets of Eastern Cuba Corp. were valued at $15,343,053 as of July, 31, 1922 and of the Cuba Cane Corp. at $100,438,250 as of the same date. In January 1923 upon arriving in Havana in his annual visit at the beginning of the grinding season, Rionda saw to it that Regino Truffin resigned as Cuba Cane's vicepresident and that him as well as Higinio Fanjul Rionda, Leandro Rionda Jose and Manuel Arango resigned at their positions in the company and were relieved of their responsibilities. Following Ogilvie as interim president was Charles Hayden, Manuel retained his seat on the Board though not in the Executive Committe and Czarnikow-Rionda & Co. continued as brokers for their sugar. In 1929 John Roy Simpson, a retired Army Colonel and experienced corporate executive who had climbed his way up at Western Electric, Filene's and Consolidated Oil, joined Cuba Cane as president succeeding the interinship of Hayden. 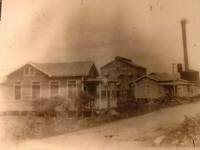 The Great depression caused the financial failure of the Cuba Cane Sugar Co. It initially passed on to a syndicate called Cuba Cane Products Co. and in 1934 some of its properties became part of the Cia. Azucarera Atlántica del Golfo.